This volume incorporates practical methods at the level of molecular, cellular, and whole organism biology in vertebrate and invertebrate models. It presents straightforward protocols written step-by-step for state-of-the-art techniques with the emphasis on single-cell resolution procedures. 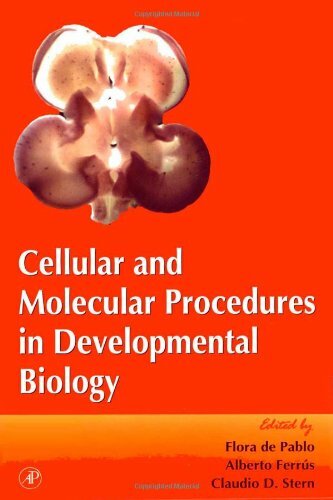 Cellular and Molecular Procedures in Developmental Biology addresses a number of key advances in cell and developmental biology research. This volume incorporates practical methods at the level of molecular, cellular, and whole-organism biology in vertebrate and invertebrate models. It will not only be of interest to the seasoned professional, but will also serve as an excellent tutorial for the interested novice.